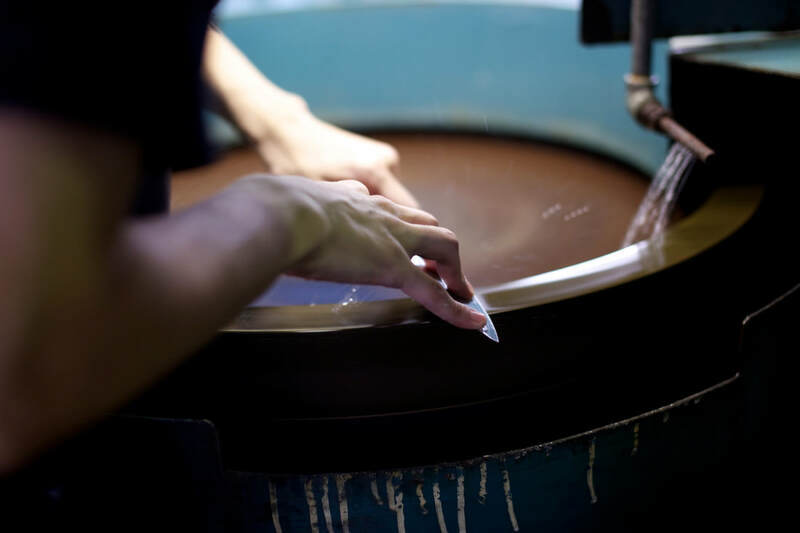 ​The quality of Japanese steel used to make all of our knives means that for domestic use your knife will rarely need sharpening. ​Every knife's edge though will always benefit periodic honing. - If you do intend on using a whetstone with your new knife I would stongly recommend a lot research and practise first with a less loved knife in your collection. There are some excellent resources online. ​MAC Black Ceramic Honing Rod 10.5"
​Probably the best Honing Rod in the World! ​A Brilliant addition to the range and one of the very few honing rods we would recommend for use with our Japanese knives. 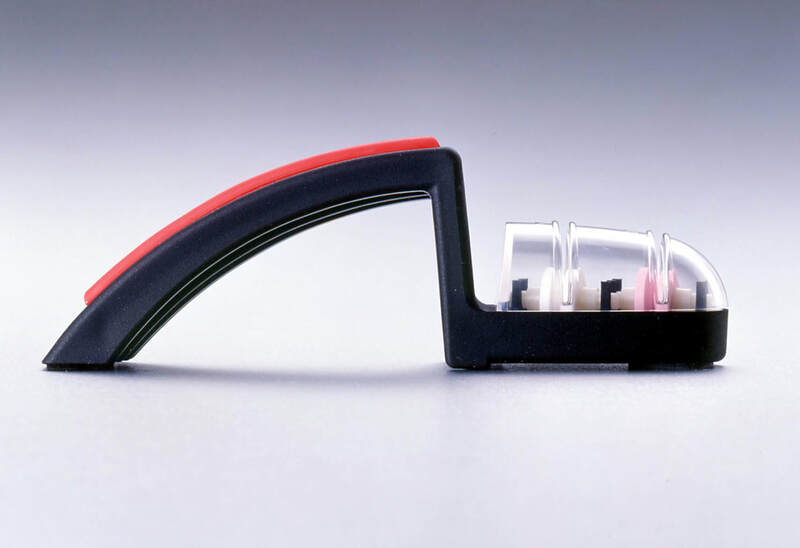 This innovative Ceramic water Sharpener makes it easy to makes sharpening a dull knife easy! First Fill the dish with a little water, then gently pass the knife through each of the two grinding rollers without exercising too much pressure - All it takes is 7 to 10 strokes to re-hone a dulling edge. ​​Hiltons will sharpen almost any blade. It is sometimes impossible to sharpen a knife on a domestic sharpener and you may need a professional sharpener to re-hone your knife and get the sharpness back. Knives can also get damaged and a professional sharpener will be able to remove a chip in a blade.